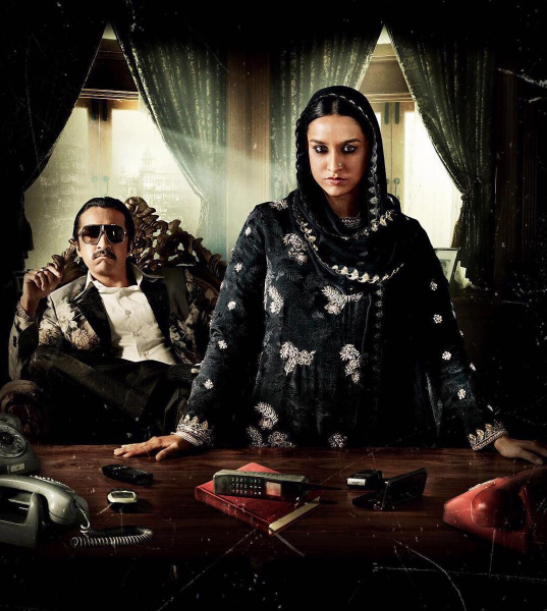 Haseena movie poster reveals Shraddha Kapoor who is always underestimated as a chirpy and cute actress is now all set to break all your misconceptions as she is coming in a bold look in her upcoming flick Haseena. The movie Haseena revolves around the story of Haseena Parkar who was the Queen of Mumbai and terrorist Dawood Ibrahim’s sister. The interesting part of the movie is that for the first time, Shraddha Kapoor will be sharing screen with her real life brother Siddhanth Kapoor who is excited sharing screen with her sister. In the movie, Shraddha will be playing the role of Haseena Parkar from the age of 17 to 40. Shraddha looks very promising in the posters revealed so far, but one thing she regrets about the film is that she did not get an opportunity of meeting Haseena herself who passed away in 2014. She thinks that her role in the movie is very convincing and in the posters so far revealed showed Shraddha in both young and elderly character. After all these the greatest question arises that will she be able to give justice to the role? That we will get to know on 14th July as the movie will hit the theaters on the same day.